It’s 5 a.m. on a cool October morning and I wake to the shrill noise of my alarm. I get up, get dressed, pack my bags and head out the door to the gym. This has become a routine for me. Every morning I head to the gym before school with my training partner. I am a wrestler, and this is the dedication it takes to get ahead in this sport. After my workout I hit the showers and head to class. I make it through the everlasting school day, and both my body and mind have been strung out, but my day hasn’t ended. After school I drive to MIT to wrestle with the college club team. I wrestle with all of the college wrestlers and they beat me and help me to improve. I get home late and finish my remaining homework. My body is completely drained and I slide into a deep sleep. This repeats every day for two months until the beginning of my high school wrestling season. This is what it takes to be the best. Fast-forward five months to the sectional tournament. My hard work in the off-season has got me to the tournament finals, and I’m both excited and anxious. My family, friends, and teammates are all watching this match, and they have the same emotions I do, but to a much less extreme. This is my time to show everyone how it was worth sacrificing all of those hours to become a champion. The match starts, and I take my opponent down quick. I feel great and I keep pushing the pace and the match is going the way that I want it to. The second period my opponent takes top position. A couple of seconds later I’m lying on my back and the referee is blowing his whistle signalling the end of the match. I stare at the ceiling devastated. Part of being a wrestler and a role model is holding yourself and your values to a higher standard than most. I was completely heartbroken after the loss, but that didn’t give me the right to throw a fit. I still had to conduct myself as a role model and maintain my composure. I’ve always lead by example and this was no different. Despite having lost, I was able to maintain a positive outlook on the situation. I had another season ahead of me, and I knew I had another shot to comeback and be successful next year. I got right back to training, and I started working even harder to achieve my goals for next year. I’m optimistic for next season because I know that with my work ethic and confidence, nothing can stop me from accomplishing anything I set my mind to. 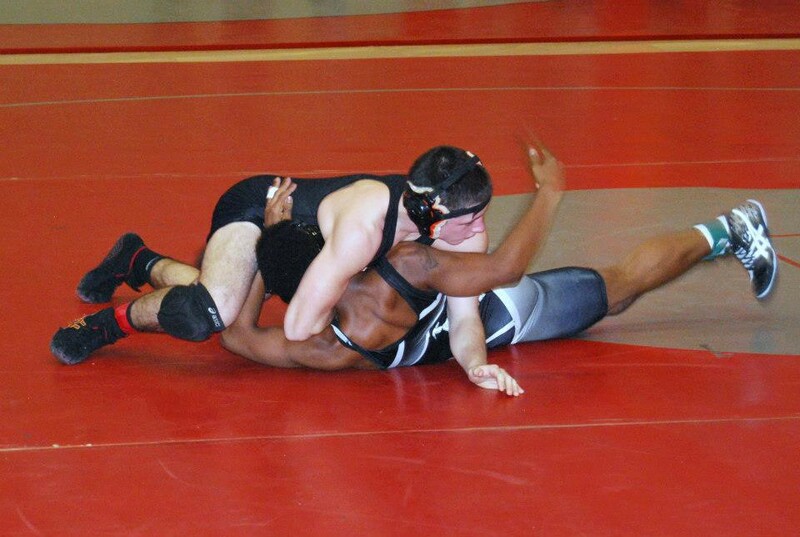 Nick Mariano wrestled at Newton North High School from 2009–2013 and is currently a student at Bentley University. 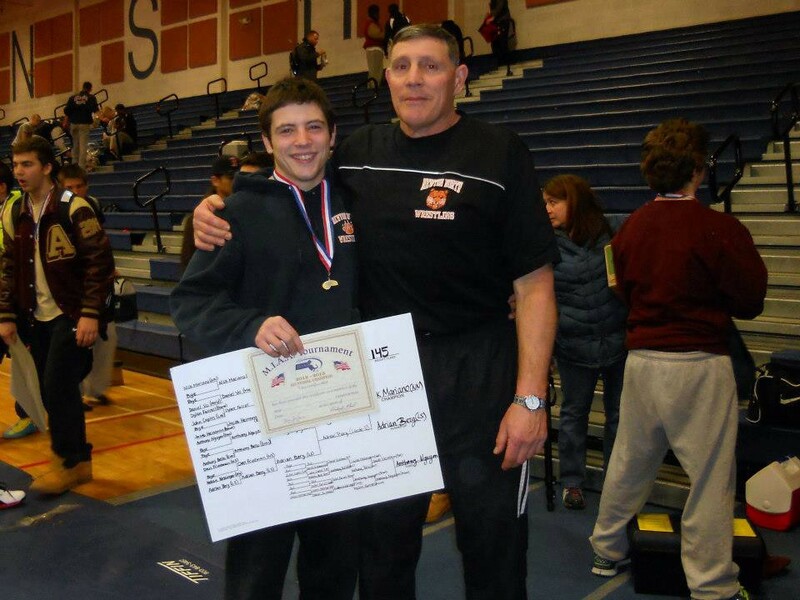 He finished with a career record of 110–40, including a senior year in which he went 52–5, winning sections, taking second at Divisional States, and fifth at All-States.